OAKLAND, Calif. — Minnesota Timberwolves All-Star swingman Jimmy Butler says it will be up to him whether he plays in both ends of a back-to-back this week. Butler, who has asked for a trade from the Timberwolves, sat out Wednesday’s game because of general soreness and made it clear that he might decide to sit out one of the team’s next two games, as well. The Timberwolves play at the Portland Trail Blazers on Sunday night and at the LA Clippers on Monday night. Derrick Rose says that while he wasn’t sure his body would allow him to keep playing after multiple knee surgeries, there was never a point where he seriously considered retiring. Butler’s name has swirled around trade talks for weeks, but Timberwolves head coach and president of basketball operations Tom Thibodeau has been unable to find a deal to his liking. Butler, who also missed an Oct. 20 game against the Dallas Mavericks for precautionary rest, was asked if he would try to play if the circumstances surrounding his current situation were different. Butler said he would “see how his body feels” before making a decision, but he did not reveal what particular injury he might be dealing with. “If all of this talk wasn’t going on and I sat out because my body was sore, you would not be asking me things like that,” Butler said. Butler scored 21 points in 35 minutes in Friday’s loss, but the issues regarding his future continue to hover over everything the Timberwolves do. Butler chafed during a back-and-forth when a reporter acknowledged that his injury status wouldn’t be as much of a concern if his trade demand wasn’t already public. 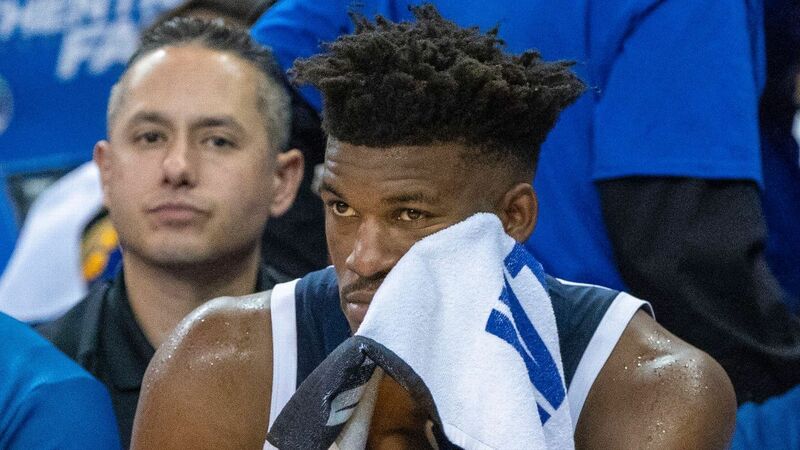 The difference for Butler is that the demand is public, and he has made a career out of trying to play through injuries; sitting out games for precautionary rest or soreness is a sharp contrast from what he has done in the past.